Pioneer has two ” very similar ” DJ controllers in the beginner segment; DDJ-SB3 and DDJ-RB. Same frame, same dimensions, same weight, same price. It is hard to tell which one is what, except a few details and color. They are both designed and engineered to do the same job, therefore target the same consumer group. When you look closer though, you see they are different. What are those details that make these two controllers apart from each other ? Let’s take a look. Even though DDJ-SB3 and DDJ-RB look much alike, there are surprisingly SEVEN features which mostly puts SB3 a step ahead of RB : Software, color, decks, FX, loop and other buttons. Pioneer DDJ-SB3 is made for and runs on Serato DJ software like many other models from the same brand. On the other hand, DDJ-RB operates with Pioneer’s very own Rekordbox software. So, this is one of the main reasons you should decide on, when buying either of these two controllers. Once you start on a specific software, it may be hard to adopt and get used to another one. 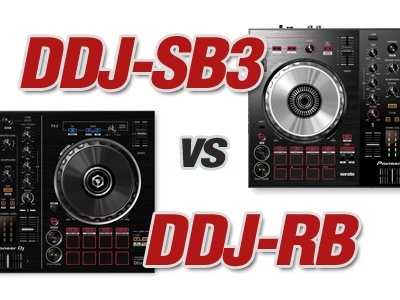 A major feature in favor of DDJ-SB3, 4-deck play. You can perform on SB3 using 4 decks simultaneously. Just press the deck button on the side of the wheel. Unfortunately, DDJ-RB does not have this function, only two decks for the DJ. When you advance in DJ’ing, extra decks might come in very useful. Pioneer places different colored wheels on Serato and Rekordbox controllers, same here for these two units too. DDJ-SB3 comes with silver color ones and DDJ-RB has black jog wheels. This is the most visible difference that your eye can catch. DDJ-SB3 has three separate FX buttons on top of each deck that enable you to apply three different ones. RB has only one. Having dedicated buttons on hardware is always an advantage for the DJ and a big convenience. One more feature on SB3 that beats RB; Auto Loop function. SB3 has the capability of auto looping by means of the software and dedicated buttons. Unfortunately, DDJ-RB comes with only manual looping. You have to start and end the beats that loop by hand. Gee, I can’t imagine a DJ controller without keylock. Well, there is one here; Pioneer DDJ-RB. At least the button is missing on this model. Another reason you should choose SB3, the ” Keylock ” button on hardware. A vital function ! DDJ-SB3 has an extra feature called ” Vinyl / Slip ” which is missing on DDJ-RB. Vinyl mode changes the function of the jog wheel, which is important for DJs during performance. When you turn Vinyl mode off, you can adjust the speed and tempo of the track while mixing, and when it’s on, you can scratch. Another crucial feature that can’t be missing ! If I were out to shop for my first DJ controller and decide on Pioneer brand, I would definitely go for DDJ-SB3 for all those features which are absolute necessity for each and every DJ out there. The final move is yours. Can You Easily DJ On A Different Controller ? Am I Too Old To Be A DJ ? Last updated by Murat Celikbas on April 10, 2018 . Can DJ’ing Be A Full-Time Job ? 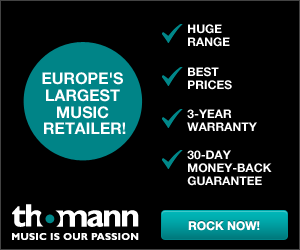 Can You DJ With Numark DJ2GO2 ? DJ Hearing Loss: What Is Tinnitus ? Hi, I'm Murat. I've always been passionate about music. Wanted to be a singer, ended up becoming a DJ. Started in New York City, learned DJ'ing all by myself and mixing tunes since 2000. 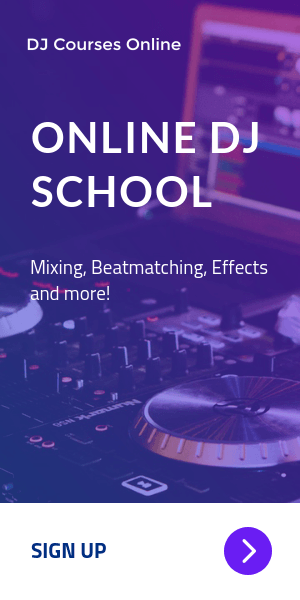 I created digitaldjinfo.com in 2012 just because I like to help new DJs and share my experiences with them. Copyright 2019 © Digital DJ INFO | All Rights Reserved.